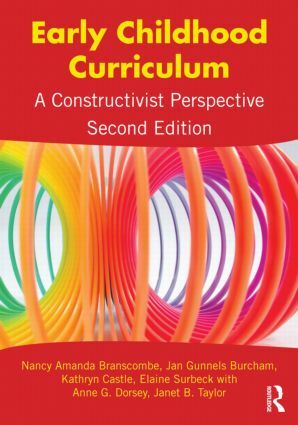 Through its unique integration of curriculum and learning principles, Early Childhood Curriculum: A Constructivist Perspective, 2nd Edition fosters authentic, developmentally appropriate practice for both preschool and early elementary classrooms. The constructivist format of this book encourages active involvement on the part of readers by asking them to observe, question, reflect, research, and analyze, thus allowing readers to create their own knowledge through their responses and actions. Early Childhood Curriculum examines curricular goals such as autonomy, development, and problem solving and links those goals with constructivist principles of learning. It explores ways teachers can create meaningful learning environments and choose curriculum tasks appropriately—in all content areas—that are linked to the learning and development needs of young children. The text provides a wealth of practical detail about implementing constructivist curriculum as the authors discuss classroom climate and management, room design, play, and cooperative learning, among other topics. The book also includes information about how teachers can meet required mandates and national and state standards in appropriate ways as they plan their curriculum, and examines the early childhood educator's role with community agencies, reform and legal mandates, and public relations. • “Curriculum Strategies” highlight models for developing curriculum, including projects, curricular alignment, integration of various subject matter areas, and types of knowledge. • “Constructions” promote problem solving by allowing students to explore, revisit, examine, and learn from first-hand experience. • “Multiple Perspectives from the Field” provide interviews with teachers and other early childhood professionals, offering students a realistic look at the profession from a diverse group of educators. • “Teacher Dialogues” explore a wide range of student concerns, including curriculum, learning environments, assessment, and documentation, representing a collaborative support group for pre-service teachers and readers. Part 1 What Are Constructivist Aims and Assumptions? Part 2 What Are Key Components of Constructivist Curriculum? Part 3 What Are Constructivist Practices? Nancy Amanda Branscombe is Associate Professor of Early Childhood Education at Athens State University. Jan Gunnels Burcham is Professor of Early Childhood Education and Moselle W. Fletcher Distinguished Chair of Teacher Education at Columbus State University in Columbus, Georgia. Kathryn Castle is Professor and Chuck & Kim Watson Endowed Chair in Education and Graduate Coordinator at Oklahoma State University. Elaine Surbeck is Professor Emeritus of Educational Leadership and Innovation at Arizona State University.